The First thing you want to do is load map ” _default.map” it has two sectors and its a great way to begin a map. In fact its what it is made for. You don’t want to select “new map” you want to load _default.map to start. This map is perfect for starting a map. Because it is easier to use the existing ones then to create a new sector if there are no existing sectors. However it is also possible and I will go over how to do that soon. 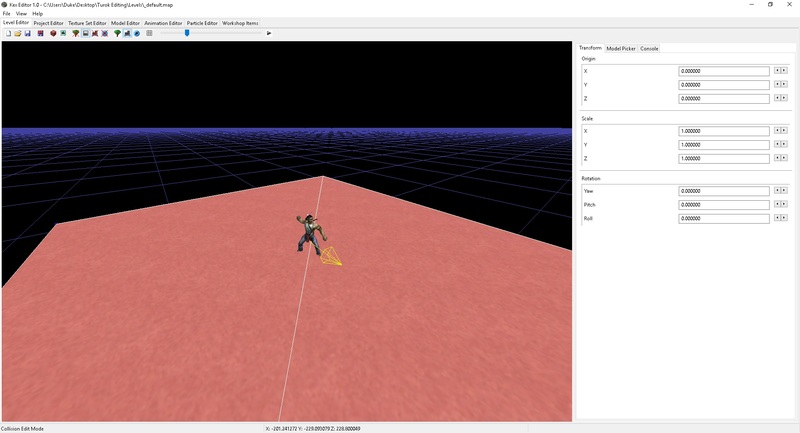 _Default.map looks like this when you open it in the editor. 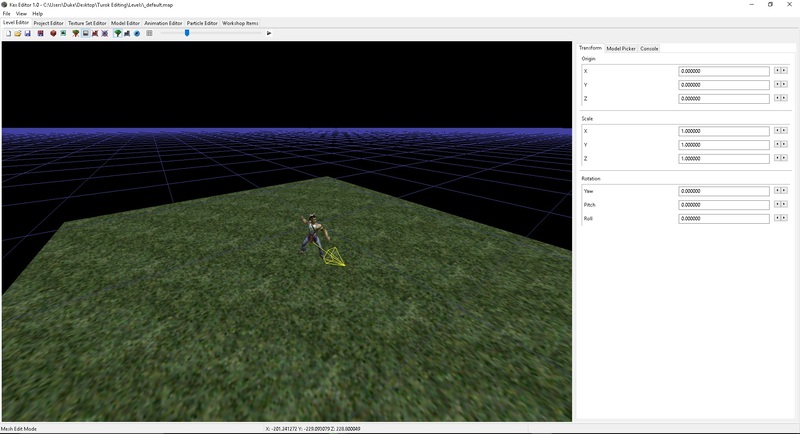 Yes just a grass floor model and Turok. Again you just need to load _default.map to start a map. This is just a detail version why and what not. Not much a guide. Hope it helps any.